Ever since Isla was very little I have always read to her, reading is one of my favourite past times and I very much hope that she follows in my foot steps. I've blogged about the importance of reading on my Library post recently. Reading really does fire up the imagination and I loved becoming immersed in a book especially on winter days. I grew up in the 80's, in the days when TVs in kids bedrooms started becoming popular, but I just didn't want one! I was happy listening to tapes (!) and reading books - does that make me a geek?! 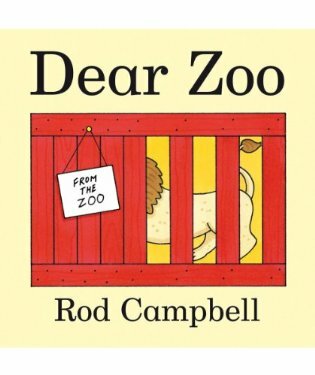 The following 3 books are regularly thumbed in our house, and we never tire of them! 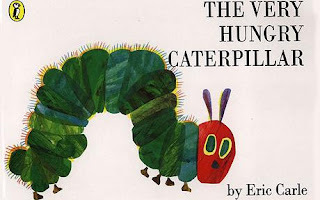 We love this book, Isla has had it read to her millions of times practically since birth! The colours are beautiful and when she was really little she just loved putting her fingers in all the holes that the caterpillar made in the food. I like to get her to point out all the things that she recognises - the cakes on the last day of the caterpillars gorge-fest are her current favourite! A really nice lift the flap book that helps babies to recognise animals and it gives me the chance to ad-lib and do all the animal noises. Isla's favourite of my animal impressions is when I pretend to spit like a camel! OK, not very ladylike but it gets a laugh every time!! Spot goes camping with his friends and they have a very disturbed night what with owl's 'twowittwowooing' and frogs leaping around the tent! 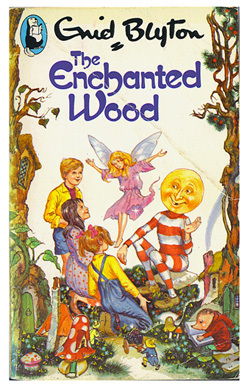 This one is so fun and brilliant because throughout the story there are sounds to play and for each of the sounds is a puzzle piece that your child can fit into the pages. 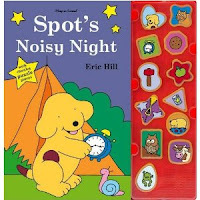 This is such a great interactive book and is the latest in a line of Spot books that we own. The next two books are obviously a bit too advanced for Isla right now, but they are two favourites of mine from when I was a child and I really hope she takes to them like I did. When I was at primary school I had to write book reviews of all the books I read and I've still got the folder up in Mum and Dad's loft! I read so much, I was a book worm, so choosing just these two was a struggle because I could have gone for Ramona and Beezus or Pippi Longstocking and actually all Roald Dahl books hold a special place in my book loving heart, so it was hard to pick one of his. where, as the name suggests, you can take whatever you want for free! Thinking about this book has made me feel all nostalgic about the Enid Blyton books I used to own, they all had hard covers and the pages felt so good (does that sound weird!?). 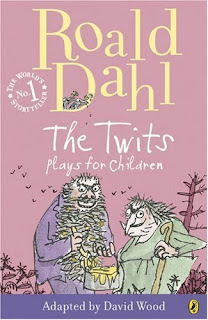 This is one of my favourite Roald Dahl books (along with The Witches, Georges Marvellous Medicine...). The descriptions of Mr and Mrs Twit are fantastic and I always loved how Mr Twit was just so extra disgusting with food in his beard and you could almost smell how unclean they were from the descriptions. 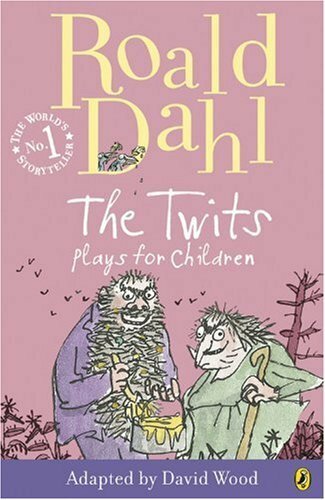 They hate children and they torment animals but as is the case in all Roald Dahl's books the mean characters always get their come uppance! Roald Dahl's books also have the extra benefit that they have gorgeous illustrations by Quentin Blake - something I have blogged about previously here. One of my things I want to do at some time in the future is go to the Roald Dahl museum, something to save for when Isla is older. This post is part of the Listography Linky that Kate Takes 5 runs every week. 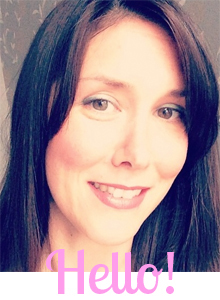 Pop over to her blog to see her book suggestions and also a whole host of others!